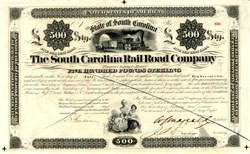 Beautifull certificate from the South Caronlina Rail Road Company issued in 1868. 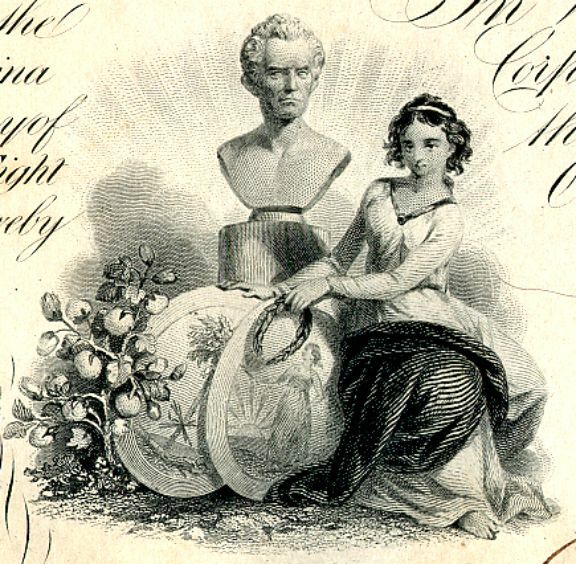 This historic document has an ornate border around it with two vignettes of a train moving out of a tunnel and a young woman with the seal of South Carolina and a bust of a man. This item has been hand signed by the Company's President ( W. J. Magrath ) and Secretary ( J. R. Emery ) and is over 143 years old. Coupons attached on bottom. Pen cancelled.